"We're a not-for-profit organisation committed to serving you with fresh, nutritious food that makes your body sing"
"Come and relax away from the hustle and bustle of Byron Bay in our peaceful garden setting"
"We update our menu every week, so there's always something fresh and delicious for you to enjoy "
Looking for Healthy and Delicious food in Byron Bay? Exceedingly Healthy. Exceptionally Delicious. 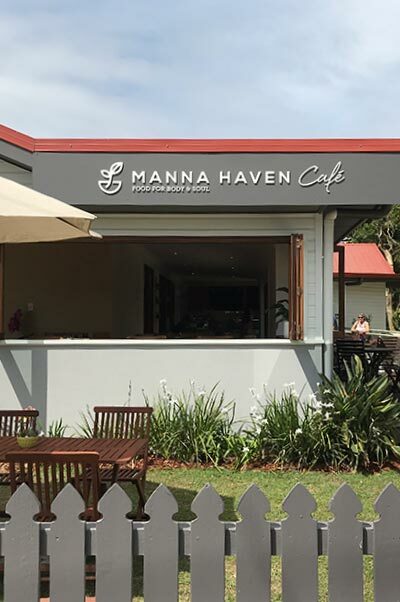 At Manna Haven Café Restaurant in Byron Bay, we take pride in serving you with healthy and delicious vegetarian food made from fresh and local produce. Our extensive ‘grab and go’ vegetarian menu is sure to please with a range of fresh salads, tasty mains, mouth watering desserts and smoothies. 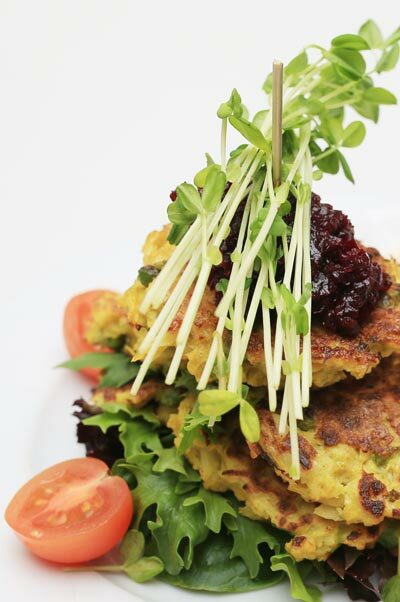 Most items on our menu are vegan, and we also have a large range of gluten-free options available. We refresh our menu every week, so there’s always something interesting and delicious for you to try when you visit Manna Haven. 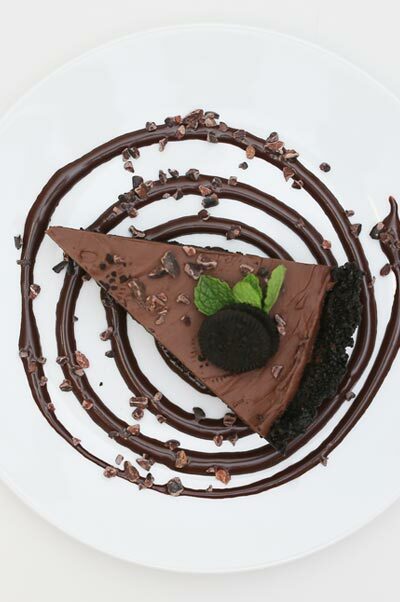 Please browse our delicious menu examples. Our weekly menus are always fresh, hot and ready for you to to ‘grab and go’ or ‘rest and relax’ in our peaceful indoor or outdoor garden setting. 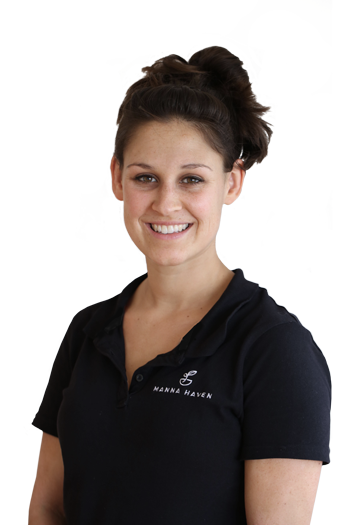 We look forward to serving you on your next visit! We make use of fresh, wholesome and natural ingredients. Free Wi-Fi for café customers. Ask our friendly staff for details. 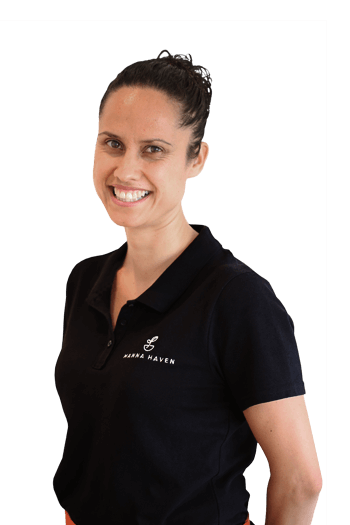 Manna Haven is a registered not-for-profit organisation that exists to serve the local community. Looking for something different, something delicious that’s really good for you? Browse our menu today. We have a wide selection of fresh smoothies, hot drinks and herbal teas. Try our range of home-made vegan desserts. 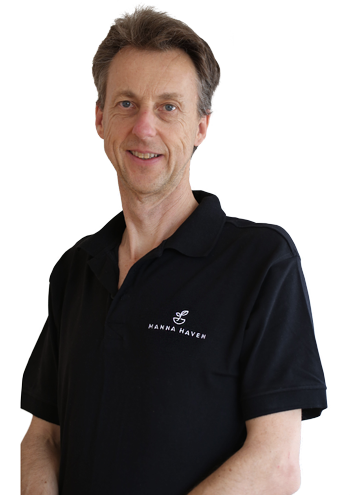 Manna Haven is a non-profit organisation that exists to serve the local community. 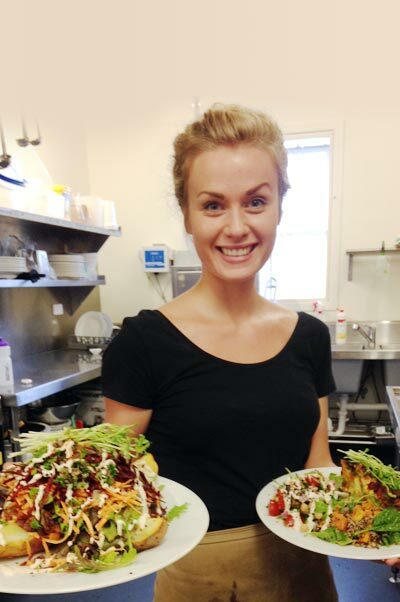 Manna Haven Café Restaurant Byron Bay, is run by staff, who love God, love people and love good food!.